The FDA issued their first caution to consumers regarding chicken, duck, and sweet potato jerky treats imported from China in September of 2007. We have all heard the news reports and complaints of the Chinese chicken jerky treats – also referred to as strips, tenders, chunks, etc. But, six years later, the treats are still being imported and dogs are still getting sick and dying. Most current estimates are that nearly 600 dogs have died, with thousands more showing signs of severe illness, as a result of eating the imported treats. Yet, the U.S. Food and Drug Administration has yet to issue a recall. Because researchers, scientists, and veterinarians can’t find anything wrong with them. In their new Fact Sheet, the FDA urges consumers to take caution with feeding their dogs these treats. 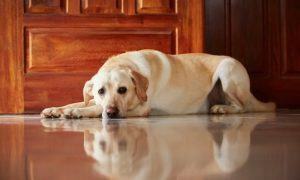 Additionally, the FDA is seeking help from dog owners and veterinarians in their continued efforts to pinpoint the exact cause of dog illnesses and death, so that a recall can be issued. Consumers that continue to feed the treats, despite repeated warnings, are urged to save some treats in their original packaging for at least 60 days from the time of feeding, in case the dog becomes ill and samples are required for testing. Veterinarians have also been asked to report any findings to the FDA, including sending health records and urine samples of suspected cases. 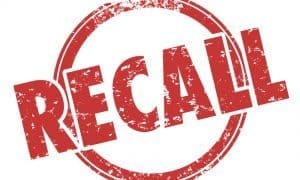 Consumer complaints regarding the treats have dropped dramatically in recent months, due mostly to the massive recall of the most popular brands of chicken jerky after an antibiotic residue contaminant was found. The FDA does not believe that antibiotic residue is the cause for the illnesses, however, and are continuing their investigations. 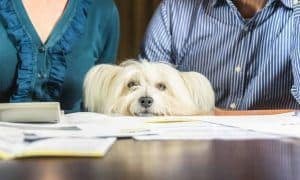 The drop in complaints was more likely a result of recalls by Nestle Purina PetCare Co.’s Waggin Train and Canyon Creek Ranch treats, plus Del Monte Corp.’s Milo’s Kitchen Chicken Jerky and Chicken Grillers home-style dog treats which simply resulted in fewer treats being available to consumers. You can help FDA’s investigation by reporting your own complaints through the Safety Reporting Portal (www.safetyreporting.hhs.gov) or your local FDA Consumer Complaint Coordinator (www.fda.gov/Safety/ReportaProblem/ConsumerComplaintCoordinators/default.htm). Remember, the FDA has not issued a recall, despite these concerns. Any chicken, duck, or sweet potato jerky-style treats that are imported from China being sold in stores today may still be harmful to your pet. If your dog simply cannot live without his jerky treats, look for brands that are sourced and made in the USA. could never give chicken jerky , only duck with no problems . dogs had stools with mucus in them. only difference I could see with the jerky was glycerin in chicken. if the glycerin is made with jatropha oil that makes sense . very poisonous plant. Our Local Menards is selling Cadet brand chicken jerky treats, by IMS Pet Industries Inc. Made in China. Our pure breed Beagle seemed fine the first week on these but now starting the second week she is vomiting many times a day and we have traced it back to these treats. We had no idea these jerky treats had been in the news for making dogs ill. We figured if they were on the for sale rack they were fine. She throws up large yellow piles of chicken shreds. She has become lethargic and is drinking lots of water. She also has diarrhea. I am taking her to the vet today but was told that just the blood tests would run $225. This is money we do not have and I feel that Menards is responsible for having this recalled product on their shelves. Nestle Purina is at it again . I just walked out of Wal-Mart and there shelves are stocked up with Waggon Train chicken treats. 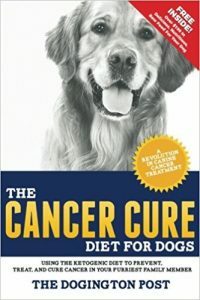 Do they love making dogs sick ? I had 3 dogs with Fanconi Syndrome for eating this crap. All with liver failer . Unreal and this aint over yet !!! Thanksgiving evening 2012, I had a 6 mo old Yorkie that simply ad a complete grand-mall like siezure. She was immediately taken to the ER where she spent the next 31/2 days on fluids, antibiotics & force fed baby food. when I picked her up, she was literally a rag doll. strategically placed around her. The ER hadn’t much hope that she would survive. Her liver they felt was shutting down all enzymes the same as what everyone else has said. I fed her baby food w/some coconut oil in it also to help her bowels, it also has great antibiotic properties. I didi this every 2-3hrs, whenever she woke, the babyfood I should add also had fruit for her bloodsugar, fruit or sweet potatoes, or starches would help. She got well enough to walk & play but still has seizures 1-3x daily. She takes phenobarbitol, denamarin & an antibiotic to help digest any protiens & cannot have any animal protien. This all from chicken & sweet potato treats from Costco. She is a full 24/7 dog that will not let me out of her site. She is so sweet when she is doing well tho, has a prance like a show horse & hops, runs like a bunny. Just tooo cute. By the way – on the above post: the FDA was contacted by our vet and they in turn contacted us. 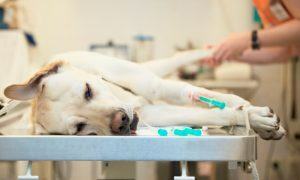 They sent a kit to collect urine and the freeze and one day air it back to them for a 3 of the dogs. A scientist from the FDA called us about 3 weeks later. Their findings were that all three dogs had Fanconi Syndrome. Purina’s response: we don’t take everything the FDA says as gospel. REALLY? So a guy sitting behind a desk at Purina knows more than a scientist from the FDA? Hummmmmmm….. WE NEED A CLASS ACTION LAWSUIT! Anyone interested in a class action lawsuit against these companies that make POISONOUS dog food and/or treats that come thru China and make our beloved dogs sick and/or die, please contact us…our lab mix Barney died eight months ago after eating dry dog food that had come thru China…we are outraged as is our veterinarian…Our Bishon Frise has survived; he always ate more human food and now exclusively chicken, rice, viennas, hot dogs…drinks a LOT of water though. Thank you. Yesterday, 24 Oct 13, I left a reply on this subject at Fox News. This is not new and has been going on for a long time. 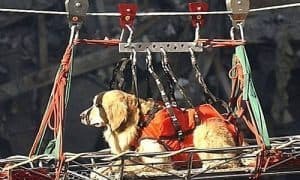 I had a prize beagle killed by unregulated food and treats that had been processed thru China, as a product of the U.S.A. Less than a year ago my Lab nearly died after eating chicken treats bought at Walmart which were made in China. We notified in writing the FDA, Walmart headquarters, and our Vet. Absolutely no response from the FDA or Walmart. Walmart kept selling this stuff for a long time. It’s sold under several brand names. They only care about making money and not the health of animals or human. The same thing applies to the FDA. They are as useless as every other government agency. They don’t care enough to do anything. My lab will not eat anything other than Blue Buffalo, local grown beef, or deer meat that I take while hunting. Nothing is safe anymore and China owns this country so no action will ever be taken to stop this. BENEFUL INGREDIENTS ARE.. WELL.. BENAWFUL! BB's INGREDIENTS ARE WAY BETTER! 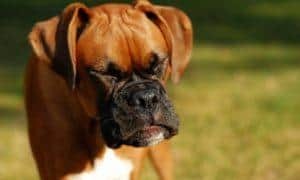 PROPYLENE GLYCOL, SORBITOL, GLYCERIN FOUND IN BENEFUL AND JERKY TREATS COULD BE KILLING DOGS IF IT IS DERIVED FROM JATROPHA AND THE FDA **KNOWS** THIS! It was chicken jerky that our Cairn Terrier mix had a terrible reaction to a couple of years ago, and required an emergency visit to a veterinary hospital. He didn’t exhibit any of the symptoms that have been listed though. He had what amounted to a severe allergic reaction. He acted like he wanted to crawl out of his skin, had very red eyes, gums, swollen face. We racked our brains trying to figure out what was causing it. What was new to his environment. Then it dawned on us we had bought those treats days earlier. Stopped feeding them to him and the next day he was much improved. By day two, he was back to his old self. Since then we don’t buy any treats other than the name brand treats that have been around for for decades such as Milk Bone, Liva-Snaps, etc. 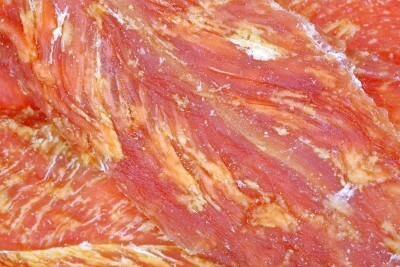 I purchase liver – chicken, beef – or other organ meat and slice it and dehydrate it. You can get a dehydrator from an outdoors or sporting goods store for about $35. Run it for 24 hours and they stay in a sealed jar for weeks – if they lasted that long in my house. They are cheaper than store bought and I know exactly what goes into them. You could also do apple or carrot slices or sliced cheese. There was a problem with waggin train chicken jerky. Google showed no problems with duck. My dog has eaten duck jerky since she was a pup. And did you know the FDA doesn’t even check human food? The FDA does nothing but spend your money. Defund all of these government agencies. These “treats” caused a deathly problem with our beloved Chihuahua Bear Bear. It ultimately killed him. He developed a rare type of Kidney/bladder stones… that after multiple severe and very expensive surgeries to clean him out and fix the problem, we had to put him at rest this September. He suffered more than I can tell you. He was only JUST 8yr old!!!! After only 8months of going through a total of 6 procedures, one so major that he technically wasn’t able to pee like a boy any longer as it was all “rerouted”!!! !… he was still passing stones (though he was on expensive prescription food for urinary to dissolve stones… and NEVER had another chicken or other china product)he ended up completely blocked AGAIN… and was in so much pain… I couldn’t put him through that any longer… and I can’t tell you how bad I still feel today without him!!! I brought him into this world and helped him take his first breath… He was in my arms when he went to Heaven. It’s not fair that companies do not care for an innocent animal that does nothing but love us!!!! SOMEONE has to speak for them!!!!!!!!!! !